Wording changes allowed including turning a Birthday invitation into a Baby Shower one or vice versa. 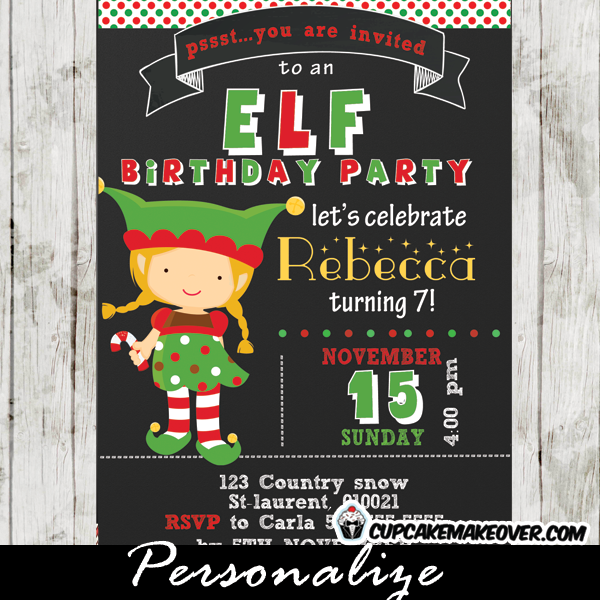 Printable Christmas Reindeer Birthday Party invitation for boys or girls. 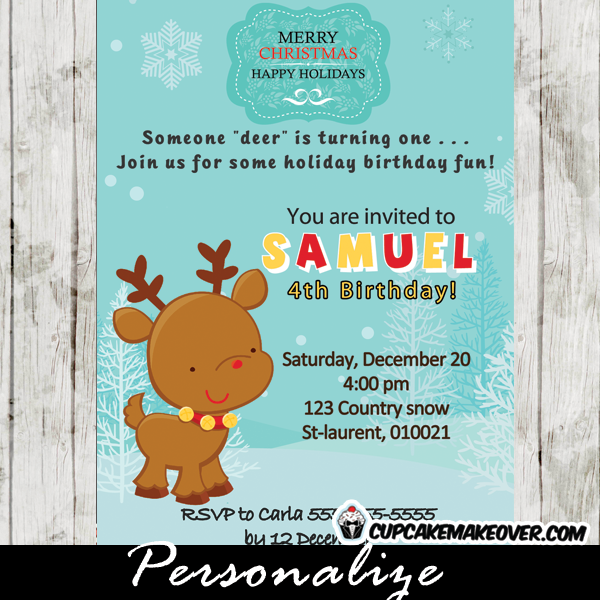 This personalized holiday reindeer birthday invitation features the cutest reindeer against a snowy forest backdrop sprinkled with snow flakes. This listing is for a digital printable invitation for you to print either at home or at your local print shop. A high definition JPEG file in your preferred size – default is 5 x 7. 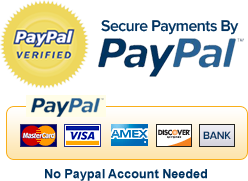 Upon receiving your payment and party info, you will receive your personalized invitation card within 24 hours to your PAYPAL EMAIL ADDRESS. If you wish to receive it on a different email, please let me know in the Question/Comments box. I will ‘paste’ the wording you provide to ensure its accuracy so please submit the wording exactly as you’d like it to view on the invitation. Can I see the personalized invitation before placing my order? 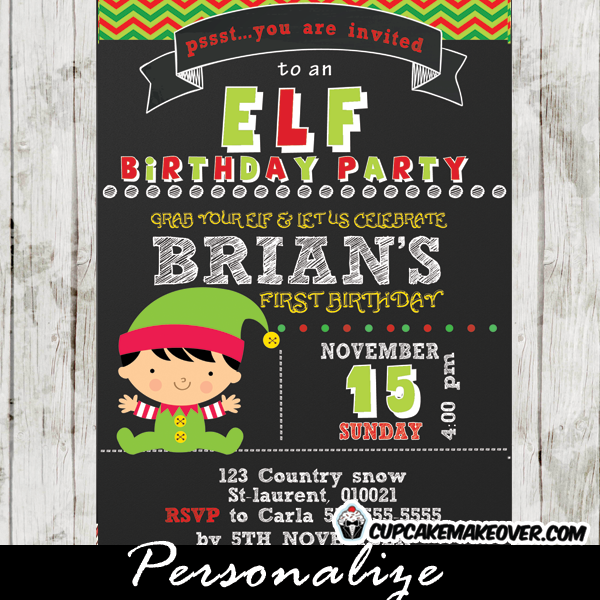 Personalized invites are only delivered after an order is placed. We can provide you with a non-personalized invite if you wish to test print. What if the invite delivered has a typo or I need an edit ? Your order is considered complete only after your approval. So if upon review you have edits, they will be done and an updated invitation will be delivered. Can I use the invite as a Facebook event cover? Of course, simply select this option and we will provide the invite in the proper resolution. Can I change the text or language on the invite? I love the design, can I personalize it for a different event? Of course, you can personalize it for any event whether it’s a birthday party, bridal shower, baby shower, wedding, rehearsal dinner, engagement, bachelorette etc. Can I order matching items? Of course, you can easily order matching items for any design via this link.